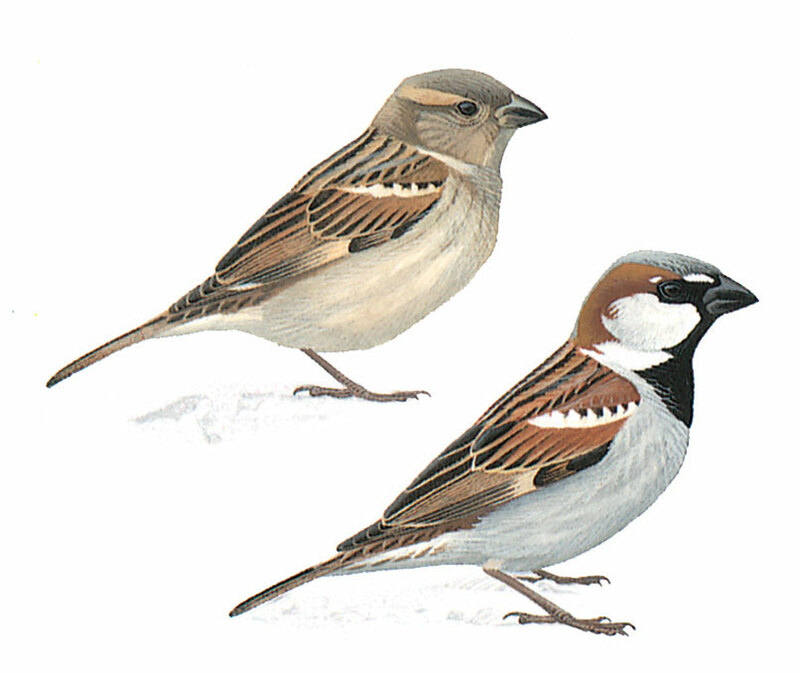 A common wide-spread sparrow. Male has a grey crown, chestnut brown sides to head, pale greyish cheeks, large black bib on chest and grey rump. Mantle and wing coverts are rufous-chestnut brown with a broad white wing bar on median coverts. Female and juvenile lack contrasting head and throat pattern, being buffish brown above, boldly streaked darker on mantle, pale greyish below, with a pale creamy supercilium. Hard to seperate from female Spanish Sparrow. Sociable, often seen flocking outside the breeding season.